Social media plays a huge part in our lives, especially in our teenage years and into our early twenties. 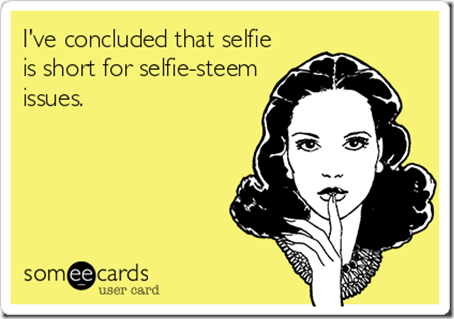 I decided to look at how social media controls our self-esteem because of a famous confession revealed last week. Kylie Jenner, one of the world’s most fashionable teenagers, has admitted to getting lip fillers. Although it was probably one of the worst kept secrets out there, it does raise the issue of how social media can affect us. In the latest episode of Keeping Up with the Kardashians, Kylie discusses her own self-consciousness, an issue that has only been heightened due to social media attention. So, if one of the most influential teenagers can be affected so badly be social media, how can us regular plebs not be? On a serious note, there hasn’t been a year when we hear about another suicide because of social media. Of course there are bullies attached to these deaths but the problem may also be that we put our most “perfect” self online. Every image is scrutinised, edited and filtered before we make it our profile picture on any social media site. The fear when we receive a notification saying someone has tagged you in pictures stems from wanting to seem flawless online. Due to this, cyber bullying is such a huge issue and such an attack on our self-esteem. If our ideal self is called fat and ugly then what are we really? Teenagers look too much at unrealistic body images, photos that are photoshopped and edited to make the celebrity look perfect. Even when the images aren’t edited to such an intense standard, most celebrities take pictures in full make-up and hair, done by professionals that we can never stand up to. This is not just a female issue, men also have to measure up to a certain body image. Men fall under just as much scrutiny and also suffer from negative body issues. We are all victims to this. We all put too much thought into how many likes our pictures get on instagram or how many followers we have on twitter. We feed into it and because of that, so many people face eating disorders and mental health issues. I think it’s time we embrace our insecurities and learn to love them. Easier said than done, I suppose.